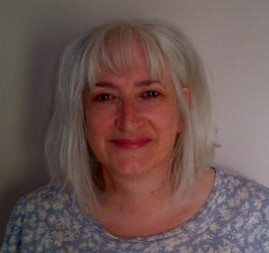 My name is Anita and I am trained in Cognitive Behavioural Therapy (CBT) for individuals and couples and Eye Movement Desensitization and Reprocessing Therapy (EMDR). I have experience of working with adults using both CBT and EMDR to help them overcome depression and a wide range of anxiety difficulties. I am an accredited member of the British Association for Behavioural and Cognitive Psychotherapies (BABCP). You will find me listed on the BABCP website under “Find a Therapist”. Certification available to view. I received my EMDR training from Alexandra Richman; having completed all 3 stages of training approved by EMDR-Europe Association (EMDR-E) and EMDR International Association (EMDRIA). Certification available to view. Check out the “problems” tab to see the difficulties I may be able to help you with. Please feel free to contact me without any obligation if you wish to find out any further information or discuss what you would like help with in confidence. I can also offer CBT supervision to qualified CBT therapists and trainees.